The conducting material used for the winding depends upon the application. Small power transformers are wound with solid copper wire, insulated usually with enamel. Larger power transformers may be wound with wire, copper, or aluminum rectangular conductors. Strip conductors are used for very heavy currents. Large power transformers use multiple-stranded conductors as well, since even at low power frequencies non-uniform distribution of current would otherwise exist in high-current windings. Each strand is insulated from the other, and the strands are arranged so that at certain points in the winding, or throughout the whole winding, each portion occupies different relative positions in the complete conductor. This "transposition" equalizes the current flowing in each strand of the conductor, and reduces eddy current losses in the winding itself. The stranded conductor is also more flexible than a solid conductor of similar size is. Windings on both the primary and secondary of power transformers may have external connections (called taps) to intermediate points on the winding to allow adjustment of the voltage ratio. Taps may be connected to an automatic, on-load tap changer type of switchgear for voltage regulation of distribution circuits. Copper is a superior electrical conductor. Aluminum's conductivity is about 62% that of copper when measured on a volume basis. 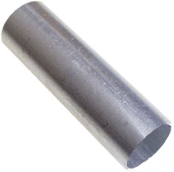 Aluminum does offer lighter weight, because of the metal’s large density difference. That’s why it is often chosen for such applications as pole-top distribution transformers, where light weight can sometimes be beneficial. Size is the overriding practical reason for using copper. Copper-wound transformers are smaller, and that can be very important. Utility transformers are designed with very large short circuit tolerances, because of the size of the grid and the magnitude of the current flow in the event of a fault. The windings have to be both large enough to handle those currents and strong enough to withstand the mechanical loads they impose. Aluminum's (volumetric) conductivity and its strength are much lower than copper’s, so an aluminum transformer that matched the kVA rating of, say, a 400-MVA copper unit would be huge! It would be too large to transport, and utility or substation transformers are not items that can be assembled on site. All of the transformers make with copper-wound larger transformer are ship by rail. Size can also be important in transformers installed in high-rise buildings, where space is often at a premium. But what about cost? Cost certainly plays a big role. Aluminum-wound transformers are sometimes less expensive initially, but the difference is relatively small for medium-to-large transformers. In that size range, the cost of the windings has surprisingly little to do with the cost of the finished transformer. In a typical large transformer, 50% of the cost is in materials. Of that, about 15% to 20% is for copper and an equal percentage is for steel — structural members and core laminations — with the remainder in oil, insulation and the rest. So we're talking about between 6% and 10% of the total cost of the unit being in the winding material and conductors. The price difference between copper and aluminum wire might vary quite a bit, but its overall effect on total cost is relatively small. Besides, copper offers other savings. Copper allows us to use less lamination steel because the core is smaller. The low-loss silicon steel we use in some of our transformers is expensive, so using less means more savings. And, because the core and windings are smaller, they need less insulation, less structural steel for the oil tank, and so on. Copper has a favorable multiplying effect on transformer economics. Copper is also a lot easier to work with. It is said it has better manufacturability than aluminum. Its smaller-diameter conductors are easier to wrap and assemble; also they can use smaller winding equipment, and in-house materials handling is simpler. Also, if you use aluminum, you eventually have to connect to copper somewhere, and dissimilar-metal connections invite problems with corrosion and connectivity. Given all that, copper is prefer. Utilities did try aluminum. Some utilities bought aluminum-wound transformers because they were initially less costly. They ended up having many more failures than with copper transformers, and, as a result, utilities won't touch aluminum today for transformers. Utilities also recognize the advantages of all-copper transformers. One regional utility insists on 100% copper for its substation transformers. The company expects a 40- to 50-year life cycle in medium and large transformers, and reliability is very important. So is low maintenance. Copper’s higher strength and corrosion resistance compared with aluminum means connections stay tight longer, thus reducing life-cycle costs. The utility concluded that, with lower maintenance costs and higher reliability, the difference in initial cost between copper and aluminum is not a big factor. Copper is the logical choice for medium-to-large transformers. It keeps the size of completed units small enough to transport easily. The smaller size of copper transformers requires less core steel, as well as structural elements including the enclosure, cooling equipment and other accessories. 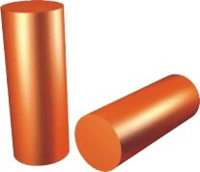 Copper is stronger than aluminum and, therefore, withstands stresses imposed by fault currents better than aluminum. Because the coil is stronger and less likely to deform, transformer life is extended and life cycle maintenance costs are reduced. Copper's better connectivity means that connections inside the unit stay tight, reducing maintenance and prolonging life. The initial cost difference between copper and aluminum transformers in this size range is not significant, and lower maintenance and higher reliability make copper the lower-cost material over the life of the transformer.